Are you struggling with your product photographs? You don't have a lot of natural light in which to shoot your photos. You have trouble reducing the glare off your product. You feel like you're always showing your products the same way. Your products don't show their colors accurately. You find technical photography jargon daunting. Create stylish photos that are representative of your brand. Take photos using equipment you already have. Minimize reflections and glares from your products. Know how to best highlight your products using various compositions. Have an arsenal of styling and prop ideas to pull from when you get in a creative block. your handmade products using inexpensive camera equipment and props. 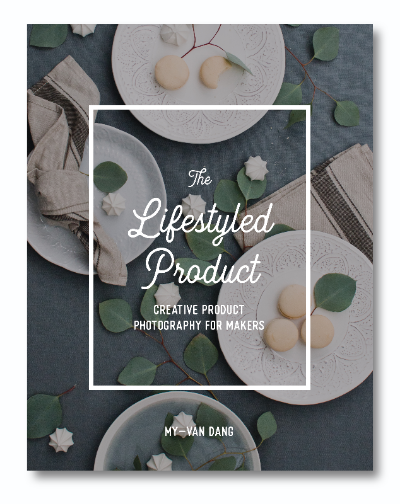 "The Lifestyled Product is a great resource for makers who are looking to learn both the basics of product photography and take their photography to the next level. The eBook is presented in concise, bite-sized chunks making it a great resource to keep going back to time and time again." I first stepped foot in the online world at a time when blogging wasn’t quite saturated yet. It was a time when people were shifting from personal blogs to making it their full-time business ventures. In those early days, we could get away with posting crappy photos alongside mediocre content. Once the shift happened, good photos were required of us to keep up with the change. No one was interested in looking at photos that were blurry, dark and yellow; not when there were other blogs who were writing the same things and presenting them better. Wanting to keep up with the change, I started to create photos with intention. I struggled my way through creative styling and lighting troubles. I studied hard to get my photos looking halfway decent before they got to be as good as the other bloggers. Much like my blogging experience, you’re probably feeling the pressure to keep up, perhaps even outshine, your competition. Maybe you’re a novice in photography or maybe you’re looking for ways to take your photos to the next level. What if you could cut out all the extra guesswork and get back to doing what you do best (making awesome sh*t)? At the end of the day, you're a maker. You don't need to stress about being a photographer and prop stylist too. Am I right? That's why I created The Lifestyled Product | Creative Product Photography For Makers, an eBook chock-full of creative ideas on how to style and photograph your handmade products using inexpensive camera equipment and props. It cuts out all the basic photography lessons (like, how to use your camera) and focuses on creative product styling. I skip the fluff and technical jargon. 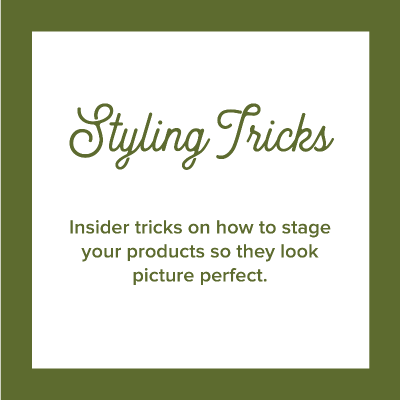 Instead, I focused the eBook on giving you all my knowledge and insider tricks on how to use props, advanced composition techniques and lighting equipment you already have to get those beautifully styled product photos that will attract your ideal customer. "Very well written! I love the writing style. It is very friendly and at the same time very informative. It looks like a good friend giving advice to you. It gives a lot of ideas for different products. 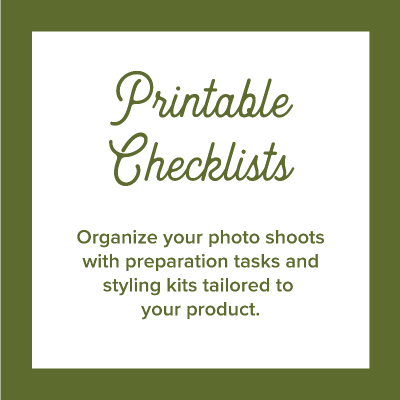 You get printable checklists, which is a super great idea." Take your product photography to the next level. Over 120 pages of styling tips and tricks specifically for handmade products. 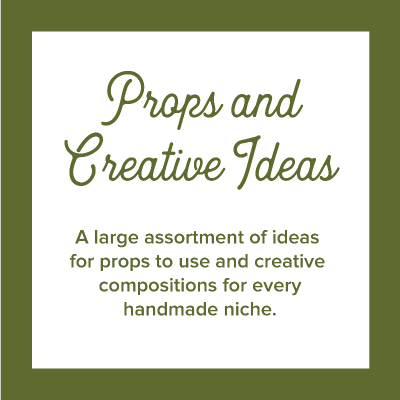 Creative ideas for every handmade niche. 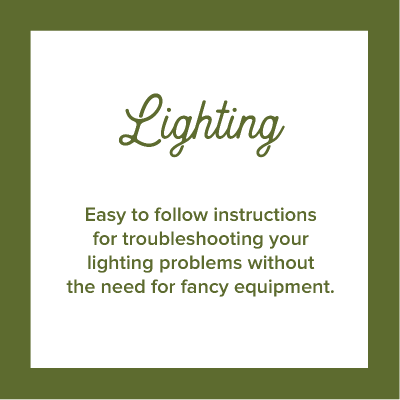 "I downloaded this handy guide and right away discovered tips on how to correct trouble spots I've had with product photography. I also appreciate the specific chapter to my particular industry (stationery and paper goods). I can't wait to implement what I've learned as I roll out future product lines!" Hi there, I’m My-Van! I’m a prop stylist and still life photographer, currently calling it home in Vancouver, Canada. All my life, I knew my life’s journey was in the creative industry. I followed this path into interior design, which introduced me to interior staging and styling. 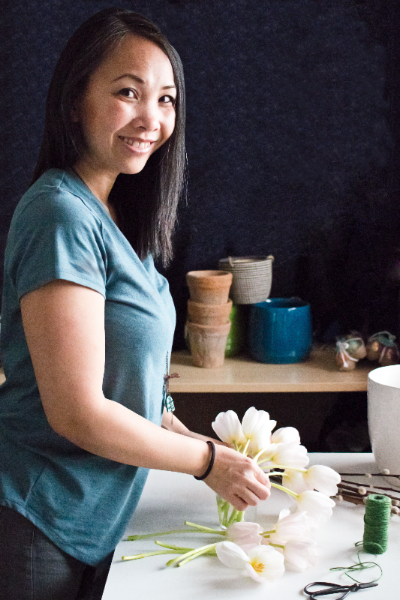 Coupled with my extended experience in retail, where I learned about product merchandising and consumer habits, I combined all my creative interests, made a career change and founded Planq Studio. 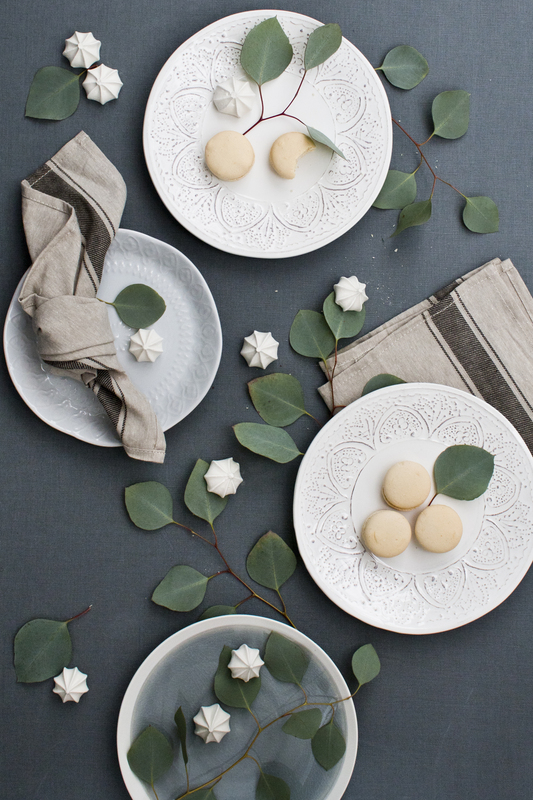 I love capturing the magic of photo styling and making still life images come to life. It is an underrated art form. My passion is to make beautiful things all around me and to help others develop an eye for beauty and potential in the most ordinary things. "This guide is amazing! Photography has always been one of my biggest struggles and I dread having to do it, but My-Van has broken it down into totally manageable lists, with instructions and inspiration for every step. The example images in the guide are beautiful, plus there are tips and problem-solving suggestions for so many things I never would have even thought of. Thank you My-Van!!" Who is The Lifestyled Product for? I wrote this guide for anyone who makes and sells a handmade product who is looking to take their simple product shots to the next level. Will your book teach me how to use my camera? This book doesn't cover how to use a camera or how to edit your photos. It focuses primarily on how to creatively style your product and understanding lighting as it pertains to product photography. If you need more help with general photography basics, then I recommend my online course Brand Photography Mastery where I cover this in depth. What handmade niches do you cover? What format is this product photography eBook? 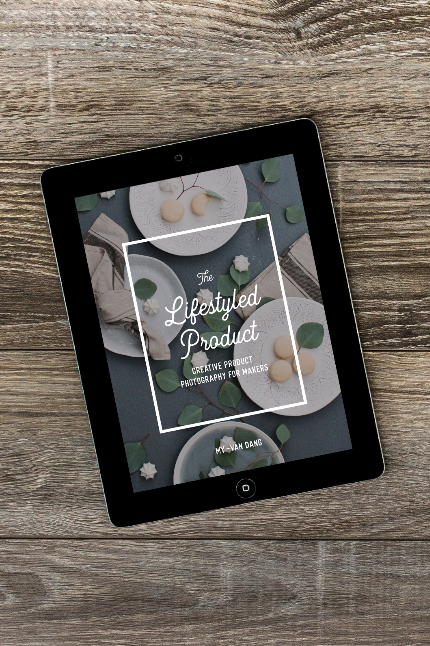 The Lifestyled Product is available as an instant PDF download. The eBook includes interactive links to help you navigate each chapter. This guide is best viewed on a computer or tablet. A printed version isn’t currently available for purchase, however, it is designed to fit a standard US letter printer so you can print it yourself. Due to the instant access nature of this book, there are no refunds. If you have any questions or if there is any way I can help, please email me at hello@planq-studio.com and I'll do my best to help you! Why not take a look at what's inside? And then the free preview will be on its way!